EU member states have rejected European Commission proposals to extend anti-dumping duties attached to Chinese solar imports. At a meeting held earlier this afternoon a majority of member state representatives voted against the extension of the controversial minimum import price, paving the way for them to appeal against an extension mooted last month. 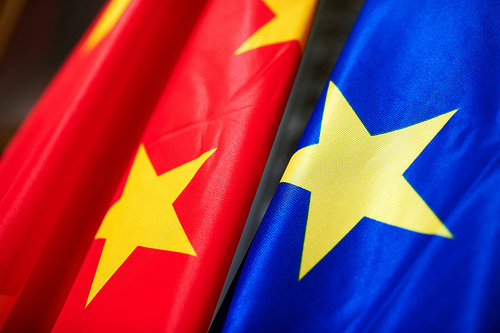 In late December the EC proposed that Chinese solar trade duties be extended for a further two years, however it acknowledged it would need the approval of member states if the extension was to be passed before the end of March 2017. Following the vote, the European Commission can now make several changes to their initial proposals before placing them back before member states in a few weeks’ time. James Watson, chief executive at SolarPower Europe, said that EU members had “sent a strong rebuke” to DG Trade and urged the Commission to “substantially revise their approach” through the appeals process. “We will now work with the member states to find a suitable compromise to remove the measures as soon as possible, so that we can have a dynamic and growing solar sector in Europe once again,” he added. Solar Power Portal understands that the UK representative was among the majority to vote down the Commission’s proposals despite late rumours of a potential u-turn from a government that has been amongst Europe’s most vocal critics of the duties. It had been suggested that the result of the Brexit referendum, subsequent changes to the UK government and an overhaul of personnel had caused the UK to consider a re-think of its stance. A freedom of information request issued by SPP intending to uncover communications between BEIS, the Department of International Trade (DIT) and the Department for Exiting the European Union relating to the MIP confirmed that cross-Whitehall discussions have been taken place, however the contents of the communications have been exempted with the government citing their potential to “prejudice relations between the United Kingdom and other States”. BEIS refused to comment on the issue when contacted by SPP insisting it was a matter for DIT, while a spokesperson for DIT could only confirm that ministers are currently considering the Commission’s proposals and would respond in due course. Issues relating to the MIP had previously been well within the remit of energy ministers who had been vocal critics of the duties and their impact on the cost of solar. In November 2015 then-energy secretary Amber Rudd wrote to EC commissioner Cecilia Malmstrom urging the Commission to “consider very carefully” the impact of the regime whilst also claiming that its impact was “to protect a small group of manufacturers, with concomitant damage to the majority of the European solar sector”. Two months later the then-energy minister Andrea Leadsom went one further, stating that the UK government would do “everything” in its power to remove the “unwelcome drain” of the MIP.